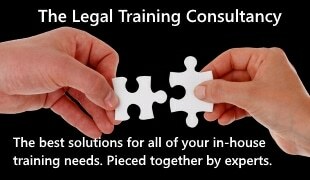 From Legal Futures’ Associate Saunderson House. Almost exactly five years ago we penned a note with the title, Putting Up More Sail. It argued that, despite the high level of investor caution at that time, extraordinary policy support from central banks and a gradual healing of economies after the trauma of the financial crisis meant that, in our view, risk assets were well supported. 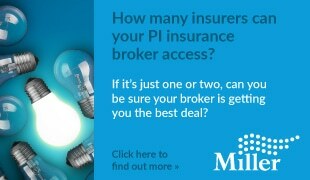 As a result we were recommending higher allocations to equities in portfolios, for what was the third time in 12 months. We are now recommending the opposite – a step back from equities. This is warranted in our view both by the degree to which the economic cycle has moved on and by the less attractive valuations now on offer. We are more often early than late in our calls on economies and markets and ‘Putting Up More Sail’ was no exception. It wasn’t until the last quarter of 2016 that the long-awaited improvement in global growth arrived, finally putting paid to the myth that economies would remain mired in low growth indefinitely. Fortunately, for us, equity markets did not need to see accelerating growth to deliver strong returns. In anticipation of the improving economic landscape, share prices rose, albeit unsteadily, through the whole period (see Figure 1). However, it was 2016 and 2017 that saw equity markets really building up a head of steam, with the FTSE All World Index delivering a return of close to 40% over the two years – albeit aided by sterling’s weakness. 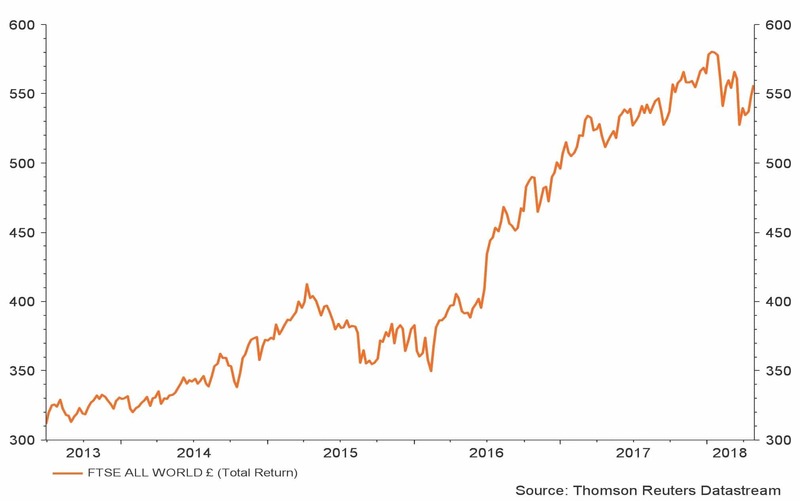 Over the period of almost five years since the June 2013 note mentioned above to 30 April 2018, the total return on the FTSE All World Index expressed in sterling was 79%*. Considering both the economic and political challenges, including concerns about deflation, a Chinese financial crisis and, of course, Brexit, this has proven a surprisingly profitable period for equity investors. * In US dollar terms the gain was 63%. The acceleration in economic growth comes as a welcome relief for politicians, central bankers and economists. Unemployment has tumbled and is now at multi-decade lows in the US and UK and is also falling rapidly in continental Europe, despite its more rigid labour markets. For investors, however, the outlook for equity markets is more nuanced. Stronger economic growth should, of course, lead to higher corporate earnings and dividend growth, making equities more attractive. So why are we less positive now? Our answer is in four parts, though we might group them all under the generic heading, ‘markets are looking ahead’. Our first point is that we believe continued good news on the global economy has been largely priced into markets over the past 18 months. The widely held expectation among investors and indeed central bankers and other policymakers appears to be that growth will continue at the current pace, or accelerate further; we are less convinced. There are signs of capacity constraints beginning to bite in some economies and also one or two pieces of data in the US, the economy that is most advanced in the current expansion, suggesting that the cycle may be peaking (see Figure 2). 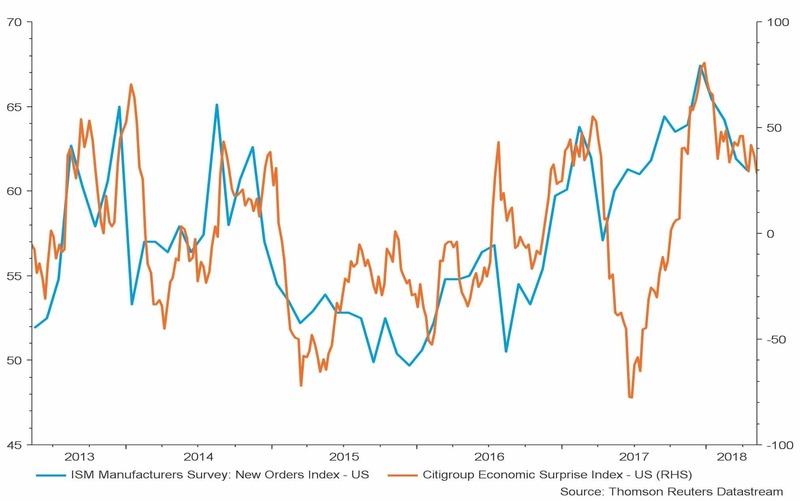 The new orders element of the ISM Manufacturing Survey is a closely watched leading indicator while the Citigroup Economic Surprise Index measures the extent to which economic data are beating economists’ forecasts. The latter, having given a false reading last year, is now declining once more. We note that the political backdrop also remains unhelpful with, among other things, the possibility of a trade war hanging over the world economy. Secondly, now that the long hoped for better economic picture is with us, we must accept the gradual removal of the superaccommodative monetary policy that has been a feature of global financial markets since the crisis. The US central bank, the Federal Reserve, has already raised interest rates six times in this cycle, although rates are still just 1.50-1.75%. There are more increases slated for this year and next. Additionally, unlike previous cycles, we have the added complication of quantitative tightening – the reversal of the crisis-induced policy that saw central bank balance sheets balloon to support economies and head off the threat of deflation. Assets are now rolling off the Fed’s US$4.5tn balance sheet at a pace of US$30bn per month. This will increase to US$50bn per month as we enter the final quarter of the year. The extent to which quantitative easing (QE), together with record-low interest rates, has supported asset prices over the past decade is a matter for academic debate. However, investors are now contemplating higher interest rates and the withdrawal of QE and trying to understand what these might mean for asset prices. Our third point relates specifically to equity markets. Donald Trump’s tax cuts in December were heralded as great news for US corporate profits and therefore the US stock market. Investors initially greeted them as such, with the US equity benchmark, the S&P 500, enjoying the best January for more than 20 years. Sure enough, aided by the tax cuts, US businesses have reported bumper profits, with year on year earnings growth of more than 24% – itself the best figure since 2010 when the economy and profits were bouncing back from the financial crisis. However, investors suddenly seem less convinced. January’s strength blew itself out through the remainder of the first quarter and, although April saw a rally, there seems to be little enthusiasm to carry 2017’s bullish mood through to another exceptional year of equity market gains. We have been quoted as saying that this is the difficult time of the cycle for investors. When interest rates are increasing, the multiple of earnings that investors are prepared to pay for shares tends to decline. This is both a function of the attraction of cash deposits earning higher rates and the anticipation of earnings peaking, or at least growing more slowly. For us, this explains the recent lacklustre performance of equities. Finally, our view remains that some of the long-term challenges faced by the global economy are still in place and present a headwind for both continued strong growth and further asset price appreciation. The trends in globalisation, technology and demographics continue to suggest to us that the backdrop against which the current expansion is playing out is deflationary. These pressures hold back perceived growth in living standards, and spur dissatisfaction, particularly amongst voters in developed economies, many of whom have been the losers from globalisation. Moreover, QE in these same economies has heightened the sense of inequality as asset price rises have meant growing wealth for the owners of assets at the same time that negative real interest rates have taken their toll on the wealth of those with cash savings in bank accounts. It is these factors that, in our view, sent Donald Trump to the White House and turned populism into a worldwide phenomenon – one that is likely to endure for years, if not decades. Recent stronger growth has, to some degree, masked these challenges, but it has certainly not cured them. A slowdown may see renewed focus on, and concern about living standards, job security and future prospects. We conclude by repeating a phrase from a note issued earlier this year – in our view the tailwinds of 2017 are turning to headwinds. We now believe these are blowing slightly more strongly. What’s more, equity markets have recovered from their trade war worry-induced weakness. We are therefore recommending a reduction in equity holdings from our heavy allocations to Europe and emerging markets with the proceeds to be parked in strategic bond funds. With bond yields having risen somewhat, these are now offering more attractive yields. We will be analysing individual portfolios in the coming days and will write with specific recommendations as appropriate. In the meantime, if you have any questions, do please contact me or your usual adviser.